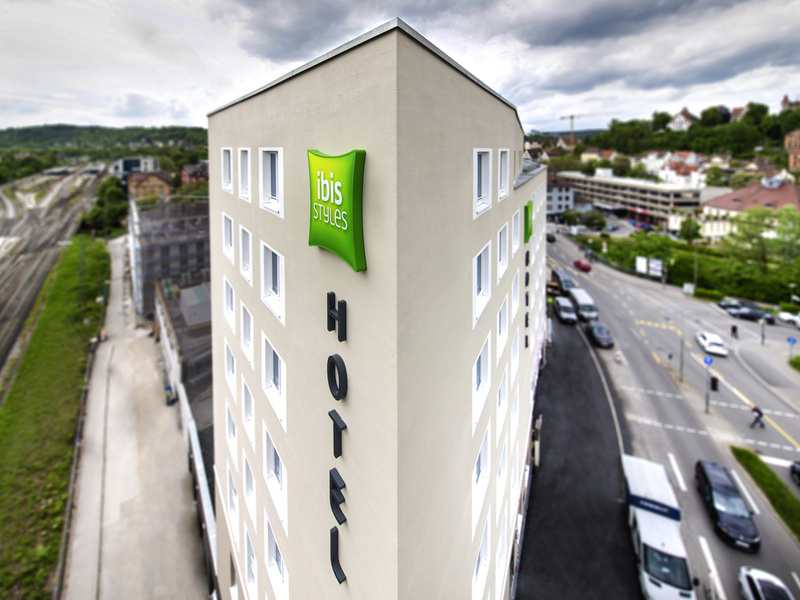 Breakfast and WIFI access are provided free of charge at ibis Styles Tübingen. Located by the gates of the historic old town and just a few yards from the Neckar River with its famous punts and the Hölderlin Tower, the hotel is perfect for tourists and bu siness travelers alike. Twelve of the hotel rooms are designed for families and include connecting doors. All overnight guests have free access to the hotel's fitness area. Discover our modern restaurant "Mike's Urban Pub" with burgers made from homemade minced meat and many other international specialties. We also show all major international sporting events on HD TVs and a big screen. Our pub is a cozy meeting place where you can while away the hours. Round off the day by relaxing with a cool beer or a glass of wine. The bar offers an excellent selection of alcoholic and non-alcoholic drinks. Muito bom hotel e localização. O bar/restaurante no piso da recepçãoé muito bom e permite um jantar tranquilo e com bastante qualidade. O pequeno almoço é muito bom e completo. Excelente localização .